You’ve met the cloud, right? It’s a popular place these days, with businesses small, medium, and large spending at least some of their time there. While the idea of the “cloud” was invented in the 60s by Joseph Carl Robnett Licklider and others, it wasn’t until nearly 30 years later in 1997 that Ramneth Chellappa coined the term “cloud computing”. Cloud storage company Box launched in 2005 and it hasn’t taken the cloud very long to extend into virtually every part of our personal and professional lives, including our work, our play, and our shopping. So much shopping, in fact, that worldwide retail ecommerce sales are estimated to be worth $2.77 trillion in 2018, and $4.48 trillion by 2021. Cloud storage and cloud computing has been embraced much faster on the personal side of things: saving our digital photos, hanging out on Facebook or Twitter, shopping on platforms like Amazon, and more. The professional sphere has been a lot slower to adopt the cloud, but that’s changing. In 2017, we’re seeing increased and steady migration from traditional to digital. It may have started with large enterprise-level companies, but more SMBs are making the switch. Ready to see for yourself? You have questions. We have answers. Let’s set aside the fact that everyone raves about the cloud. And the fact it’s everywhere. Popularity and pervasiveness doesn’t automatically equate quality or importance. According to Dell, companies that invest in big data, the cloud, mobility, and security enjoy up to 53% faster revenue growth than their analog competitors. 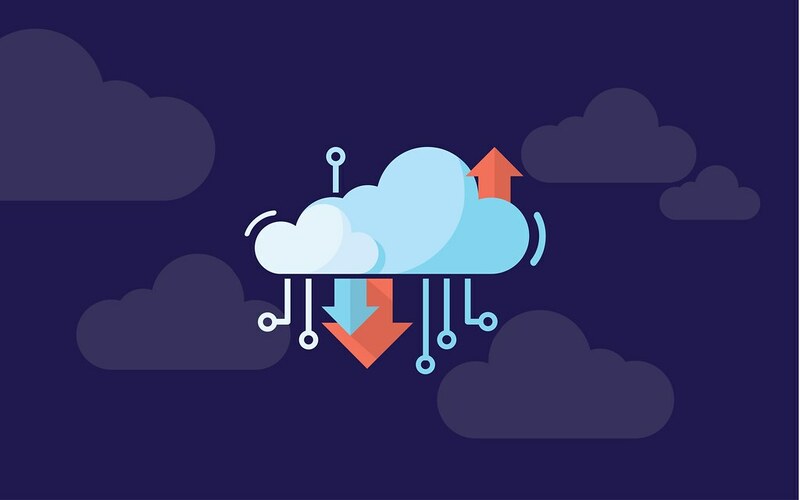 94% of businesses experienced an improvement in security after switching to the cloud, and 91% said the cloud made it easier to meet government compliance requirements. 43% of businesses NOT using the cloud never reopen after suffering a data disaster. 64% of SMBs were using cloud-based solutions in 2016, with industry experts predicting an 88% adoption rate by 2018. 70% of respondents in a recent survey had at least one cloud-based application. Companies run 79% of workloads in the cloud, and Microsoft’s Azure showed the greatest increase in adoption from 2016 to 2017. Gartner predicts cloud-deployment will be the business default by 2020. Almost one-third – 31% – of Australian businesses are in the cloud, up from 19% in 2014. The ABS also found adoption rates rose with the number of employees: 25% for businesses with 0-4 employees, but 60% for those with more than 200. 40% of Australian respondents said they were already using a hybrid cloud. To be crystal clear, cloud computing and storage is the present and future of business. It’s better for your operation, bottom line, and competitiveness. Instead of running a program installed on a physical device, you access that same program in an online ecosphere. But that’s not all. A connected workplace is beneficial in so many ways it’s hard to cover them all here. Sometimes, bad things happen. Disaster strikes. If you’re still using paper documents – or even digital documents saved on a computer or server at your physical location – you’re vulnerable. If those files – physical or digital – are lost, stolen, or destroyed (fire, earthquake, flood, or other natural disaster), what do you do? You’re in serious trouble professionally, financially, and perhaps even legally. But with the cloud, your files, documents, and software itself are all backed up and stored online, usually on multiple servers in several different locations around the world. Not only are they safe, but reliably accessible 24/7/365 with a 99.9% or better uptime. A disaster at your place of business shouldn’t be the end of your business. A continuity plan that includes the cloud is easy to implement, with near instant recovery of your invaluable data. With a cloud computing solution, you’ll never be caught with outdated or obsolete software. New and improved features, security updates or patches to combat emerging and newly discovered threats, and even entirely new versions of your applications will automatically appear the moment they become available. You don’t have to lift a finger. You’ll never again miss a crucial update because you didn’t know about it or missed an important email or announcement from the vendor. Anything you can do to help your business and the planet is a win. Data centre power consumption in the U.S. alone is projected to increase to roughly 140 billion kilowatt-hours annually by 2020, costing businesses $13 billion and releasing 100 million metric tons of carbon dioxide. A cloud solution limits the amount of necessary data centres. Think of it like carpooling to work: you share resources to reduce the environmental impact. Four people in one car takes three other cars off the road. Because you don’t need your own servers, you’re reducing your power consumption, your carbon footprint, and your amount of tech junk when those servers break or need replacement… to say nothing of the fact a digital workflow eliminates the need for all those paper documents and files. There is literally nothing more flexible than a cloud business solution. Period. It’s easily scalable as your business grows, accessible from anywhere, and allows you to scale up or down as demand indicates. You’ve got several options, with public, private, and hybrid cloud products, as well as an ever-increasing collection of “-as-a-service” options (SaaS, PaaS, IaaS, etc). As an SMB, you might believe you lack the budget and infrastructure to compete with the big boys in your industry. But while your budget may be just a fraction of theirs, you can still compete with scalable, flexible cloud-based tools. The cloud delivers instant competitiveness with larger, better funded companies, giving you access to enterprise-level services and tools. With a traditional setup, you’re looking at a very sizeable investment to install or update your own servers, equipment, and software. 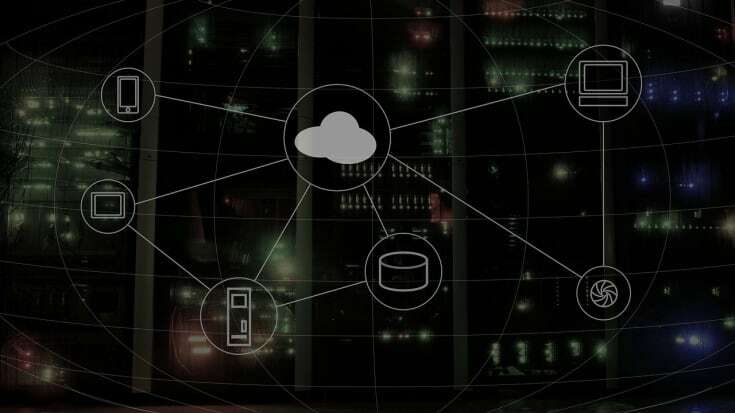 But with a cloud solution, there’s no need to purchase expensive hardware, hire dedicated IT personnel, or pay for maintenance, storage, air-conditioning, power, or administration. You simply pay the same low subscription fee every month. Despite some common misconceptions, the cloud offers increased security for your business data. With it, lost laptops or smartphones, for example, are nothing but an inconvenience. Their data is already backed up and you can remotely wipe those devices clean. Dismissed or disgruntled employees may forget to return or intentionally keep their company-provided device. Remotely remove any confidential or sensitive data from anywhere. Ransomware is reaching near pandemic levels. Click the wrong link, or download the wrong attachment, and your computer is locked and your data inaccessible unless you pay the hacker. But if everything is safe and secure in the cloud, you can ignore that demand, and simply have the computer wiped and repaired instead. 43% of cyberattacks target SMBs because they’re seen as an easier mark. They spend less on cybersecurity than their enterprise counterparts. You can protect your business with a cloud solution like Microsoft 365 Business at an affordable price. Microsoft 365 Business security includes five-levels of protection: physical, logical, data, user controls, and admin controls to provide unparalleled peace of mind. Just set the user and co-author permissions, and let them get to work. A good idea for most, and a requirement for many in regards to compliance, chain of custody and records of who accessed what from where are easy with cloud computing. With user and admin controls, you can limit, monitor, track, and control who can access, view, edit, and download sensitive documents and files. This also eliminates the need to send files back and forth, thereby reducing the likelihood of them getting lost, stolen, intercepted, or compromised, as well as saving time and promoting the collaboration crucial to modern business success. From work, home, the road, the conference, the beach, or anywhere else with an internet connection, the cloud is literally everywhere you are. Everything is instantly at your fingertips. No more forgotten documents or misplaced files. You and your employees are no longer chained to the desk. A flexible work schedule with telecommute options not only keep your employees happy, but research shows it makes them more productive, too: 30% said they were able to accomplish more in less time, 82% report lower stress levels, and 67% of supervisors indicate remote workers increased their productivity. You could build a comprehensive cloud computing and storage solution piece by piece. But be prepared for it to take a while, and know going in that the cost will creep higher with every additional component. If you’re looking for a comprehensive product that brings everything together seamlessly for you, then you’re looking for Microsoft 365 Business. 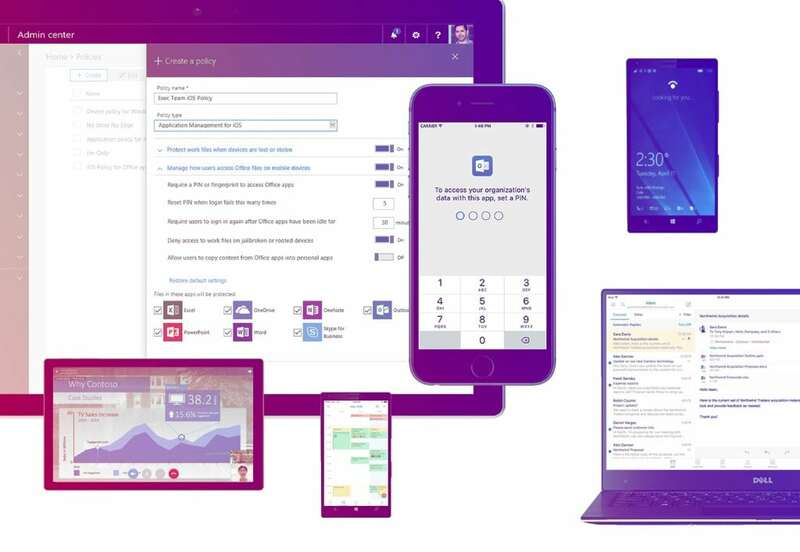 Microsoft 365 Business is a complete, intelligent solution, including Office 365, Windows 10, and Enterprise Mobility + Security, that empowers everyone to be creative and work together, securely. Designed for SMBs with up to 300 users, it helps companies achieve more together by better connecting employees, customers and suppliers, empowers employees to get work done from anywhere, on any device, protects company data across devices with always-on security, and simplifies the setup and management of employee devices and services with a single IT console. And all with the power, reliability, and security of Microsoft under the hood. As an official launch provider, Better Online is your solution in Australia, New Zealand, Singapore, and Malaysia. We bring together the digital solutions you need to stay competitive, secure, and productivity in 2018 and beyond: cloud-based computing, storage, website, and email. We can sell directly to you, with additional services like a professional website, unlimited backup and business-branded email, all-in and linked for you. Your checklist is complete with one stop. Free setup. 24/7 support. And free migration of your current email, contacts, and calendar. We’ve done it more than 25,000 times already. Startup? We’ll provide you with a domain name, website, email, file storage, and the productivity apps you need to succeed. Looking to upgrade? We’ve helped migrate tens of thousands of users to Office 365, fast and hassle-free. No matter your situation, we’ve got your solution. Microsoft 365 Business is your product. Microsoft 365 Business provides both the basics and the advanced features and tools you want. Consider it the realisation of your tech and digital wish list. You and your employees need to be able to create, edit, and share files. Office 365 comes with the tools you know and trust, including Word, Excel, PowerPoint, Outlook, Publisher, Access (database creation, access, and development), and OneNote. Both Teams and Yammer fall under this umbrella as well, but Microsoft 365 Business goes beyond just those two offerings. Skype for Business is included and integrated with virtually everything else in the suite. You can schedule and join meetings, start an instant messaging chat and audio or video calls, transfer files, share screens, and host a video or audio conference with up to 250 participants. Exchange Online is an enterprise level email service that provides mobile, robust, and secure email via Outlook or any other client. You’ll receive a 50GB mailbox and company-branded email addresses for increased credibility and professionalism. As a consumer, which would you trust and remember more: yourbusiness@gmail.com, or name@yourbusiness.com? Your own domain makes you trustworthy, memorable, credible, and less likely to end up in the spam folder. A professional email address is an absolute must. Say goodbye to Gmail, Yahoo, and other online free options. Nearly three-quarters of consumers – 74% – trust a branded email more than a free one. Your email, contacts, and calendar will be synced and accessible across multiple devices, anytime, anywhere. Microsoft Bookings allows your customers and clients to book appointments and meetings online. Add your private calendar to it, and Bookings automatically schedules around your other commitments. Create, discover, and share videos with your employees across your business with Microsoft Stream. Take the chaos out of teamwork. Colleagues, groups, or committees working together on a project can plan, schedule, assign, monitor progress, and keep track of what everyone else is doing with Microsoft Planner. With OneDrive, you can access your photos, videos, and other files anywhere from any computer or mobile device. Work with colleagues on the other side of the room or the other side of the globe. Your Microsoft 365 Business account comes with a full terabyte of cloud storage. That’s 1000GB, or enough for half a million standard word documents or more than 200 DVDs. Your work is automatically saved, uploaded, and synced across your devices every time you make a change, so you’ll never have anything other than the most current version of every document or file within your organisation. Your data is stored on several Microsoft servers spanning global, redundant, and resilient data centres. In the extremely unlikely event that something happened to one of them, there would be at least 1-2 other complete backups available to you. Physical – each location is monitored 24/7, with multi-factor authentication, and obsolete drives are wiped clean and destroyed. Logical – servers recognise only whitelisted processes, and threat management personnel anticipate, prevent, and mitigate malicious access. Data – your data is fully encrypted at rest on the servers, and in transit, while threat management, monitoring, and file/data integrity protocols protect against tampering. User – message encryption ensures private data stays private, and Azure Rights Management prohibits file-level access without proper credentials. Admin – Native data loss prevention, antivirus and antispam protection, mobile device and application management, and multi-factor authorisation. That’s five powerful layers of protection, with multiple systems and protocols at each level. You get an upgrade to the most secure version of Windows ever – Windows 10 – with the familiarity of Office 365, plus enterprise-level security and mobility without an enterprise-level price. On your end, you have the new administrative console that puts control and enhanced security at your fingertips. Every employee. Every device. From the homepage, you’ll find user control (add, delete, edit, and password reset), device policies (create, edit, and share instantly with your entire staff), and device actions (including the ability to remotely remove all company data and/or initiate a factory reset) under the “Admin” tab. Under “Security & Compliance”, you’ll discover a wealth of related tools and resources. Not sure where to start? Check out he new Secure Score. Get your current score out of 311, and a list of clear, actionable steps to take to bring it up and make your cloud workspace safer and more secure for you, your employees, and your digital assets. Explore a bit, and you’ll soon discover that not only do you have the resources you need, but everything is user-friendly and easy to understand. Instant IT expert. Click “Data loss prevention” on the left-hand side, and you’ll access the device management dashboard. Here, you can set user rights and permissions for every personal device used by your employees. 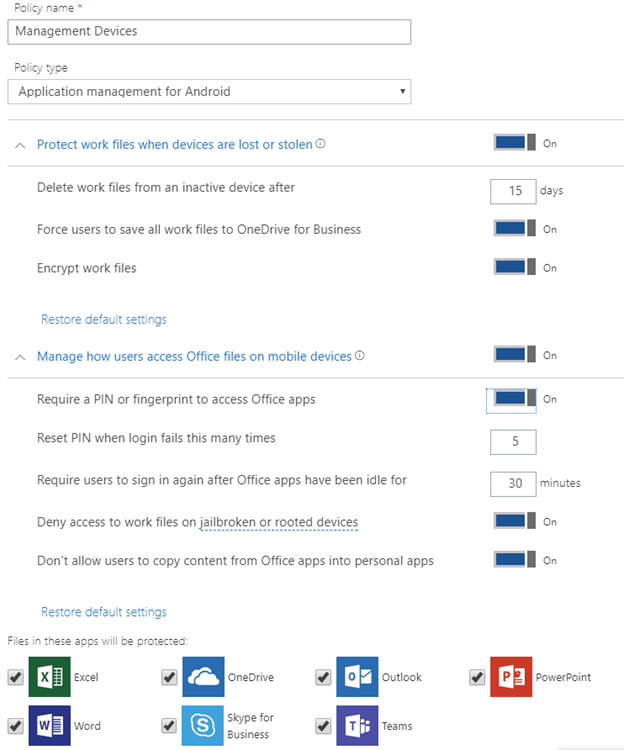 Force devices to save and store only on OneDrive, remotely wipe devices that haven’t signed in for X number of days, set biometric (fingerprint) login credentials to control access on mobile devices, limit the number of failed login attempts before a device is locked, grant access to only those files an individual employee needs, and more. Everyone has a mobile device of some sort these days. Microsoft 365 Business allows you to utilise them while keeping everything safe and secure. Data governance, threat management, reports, and service assurance. It’s all there. The security of your digital assets is a top priority. Windows 10 comes with robust built-in encryption capabilities like BitLocker and BitLocker to Go, so lost or stolen devices are a minor inconvenience and not a data disaster. Help prevent accidental data leaks by securely separating business information from personal information with Windows Information Protection. Perform a remote Selective Wipe of business data on demand while leaving personal data untouched. Windows 10 offers convenient, simple, and secure access with Windows Hello biometric authentication. Unlock your laptop, sites, and apps with your smile or touch. Ensure that devices boot securely and that only trusted software can run during startup with Windows Trusted Boot used in combination with the PC industry hardware standard, UEFI Secure Boot. Save time by easily configuring security features and settings on Windows 10 devices with device policies, fully automate your Windows installation with Windows AutoPilot, and enable or disable Windows Store or Cortana on company-owned devices with Enhanced Manageability. Reduce hardware costs and simplify management by running multiple operating systems on one Windows device as virtual machines (VMs) with Client Hyper-V. 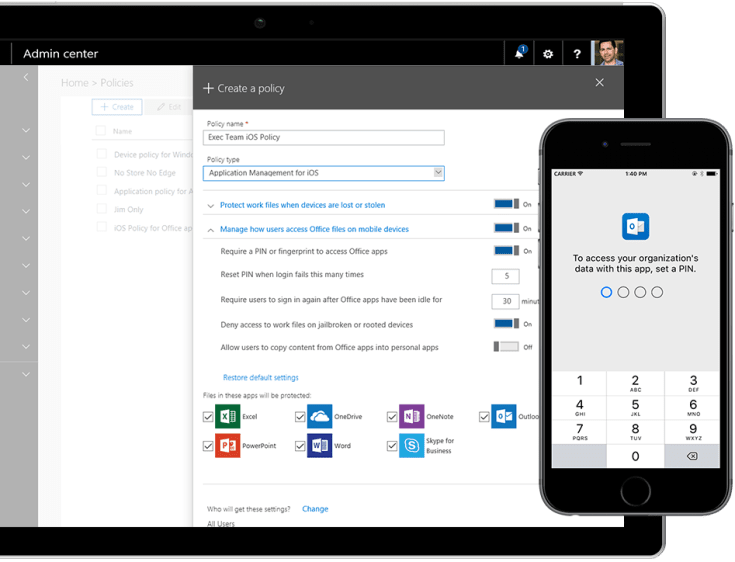 Deploying and managing Microsoft 365 Business is straightforward – advanced IT expertise is no longer required to set up new devices with all the Office apps your employees need. You can add and remove users in minutes, and call if you need support. Work across PC, Mac, iOS, Android, and Windows mobile devices. Compatibility issues are a thing of the past. Install on up to five devices for each user, truly giving them productivity and mobility wherever life takes them. Windows 10 – the most secure and powerful Windows yet – is included with Microsoft 365 Business. Your PCs will be updated to Windows 10 and kept secure with forced updates. Recently added services include . Complete user and admin control. Need to manage BYO devices? This is the easiest, simplest, shortest answer of the three. How do you get all this and more? You sign up for Microsoft 365 Business with Better Online. That’s it. We’ll do the heavy lifting for you. Sign up, and we’ll call to collect a few details from you, such as your existing or preferred domain name, number of anticipated users, and information about your existing email and calendar setup, if applicable. Next, Better Online will initiate and monitor your email, contacts, and calendar migration. For free. We’ll walk you through the necessary steps to reroute your email to your new Microsoft 365 Business addresses. You’ll get free setup and onboarding, free 24/7/365 support, an affordable cancel-anytime monthly subscription fee, and a 30-day money-back guarantee. Select and import the files you want to sync with your new OneDrive account. Assign user permissions and applications from the all-in-one admin dashboard. It’s as easy as that. As you work and explore, you’ll discover all that Microsoft 365 Business and Better Online bring to the table. Basically, you’ll get a system that’s standard for corporate IT, but made simple and affordable for small business. 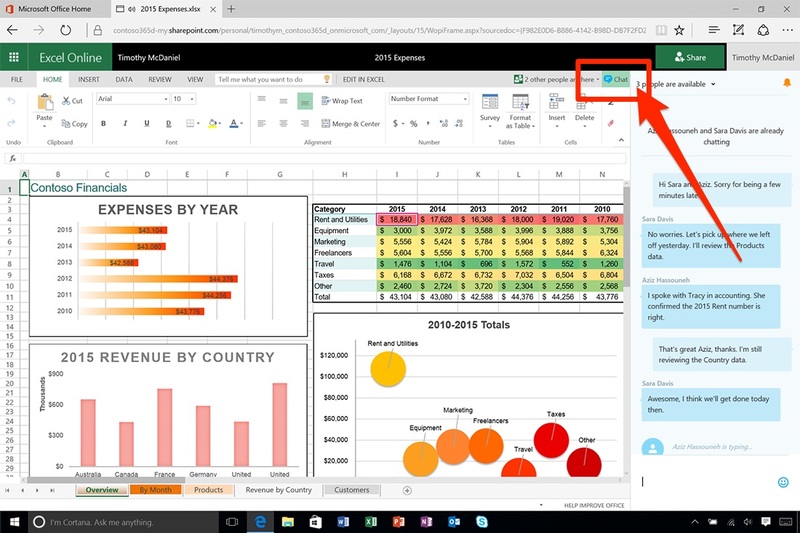 Employees can work together and see each other’s changes in real-time on Word, Excel, and PowerPoint documents. Simply click the “Share” button in the top right, enter the name or email address of the peers you want to work with, and hit send. Granting permission to sensitive data can be unsettling, but the admin dashboard allows you to protect and prevent. Set a policy that documents can only be saved to OneDrive and not to a mobile device SD card. Or prevent users from making copies of confidential files. Wipe clean lost or stolen laptops and mobile devices with the touch of a button. Protect data across both company-owned and personally-owned devices. Set policies that require biometrics to access, prevent copying, automatically encrypt and erase files after a set period of inactivity, and stop unauthorised sharing with a simple toggle. While collaborating with others in Word, Excel, PowerPoint, or OneNote, you can open a instant message chat, an audio call, or a video call directly in the app. Simply click the chat icon beneath and to the left of the Share button, and make your online co-authoring that much easier. Talk through problems. Bounce ideas off each other. Get more done. The admin dashboard “Security & Compliance” tab gives you all the tools and reports you need to not only be secure, but also fully compliant. The left-hand side menu includes Alerts, Permissions, Data governance, Service assurance, and more. You can even customise each dashboard with the widgets and layouts that work for you and your business. Just click the blue “Customize” button. It happens. You may occasionally find yourself somewhere without readily-available internet access. And that’s okay. You can continue to work on your tasks and projects, and Microsoft 365 Business will automatically save, upload, and sync with all connected devices the moment you reconnect to the internet. Any email arriving to your inbox will be classified as either Focused (high priority) or Other (everything else). You can manually move messages from one to the other to help Outlook learn more about your priorities and important subjects. Over time, it’ll get smarter, and you’ll have an inbox with only those emails that matter to you. We’ve only scratched the surface here. Employee forgets their company phone on a plane? Remotely wipe it. It gets returned to them? Login and repopulate their data. Onboard new employees in a flash. Log them into a standard operating environment so their new company laptop and smartphone get populated with all office software the moment they turn them on. “I don’t need a hard disk in my computer if I can get to the server faster… carrying around these non-connected computers is byzantine by comparison.” ~ Steve Jobs, Co-founder, CEO and Chairman of Apple Inc. The digital revolution is here. It’s now. It’s happening. Stay current, secure, and connected. Microsoft 365 for Business with Better Online gives you everything you need, and nothing you don’t. Want to know more about Microsoft 365 Business? Get Your FREE consultation, book now!